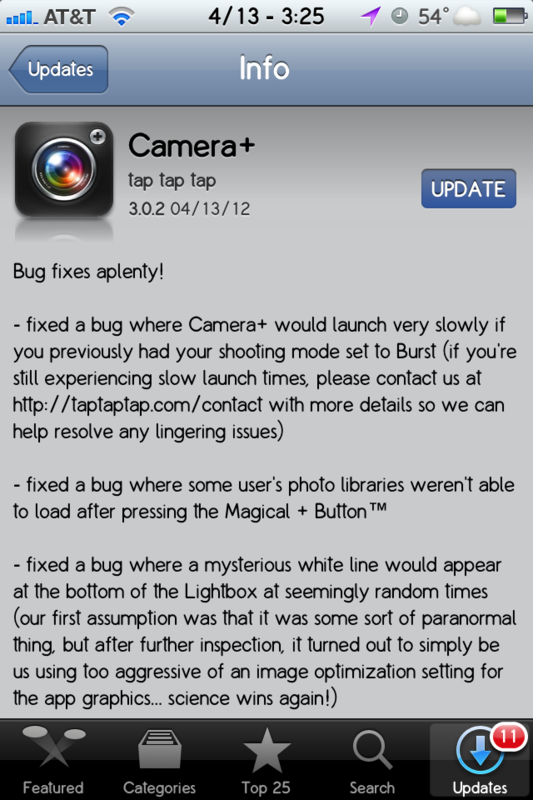 Oh, and speaking of Facebook, we have fixes for the issues that some of you’ve been experiencing with Facebook posting. We decided that it’d be best to hold them for the next release because we need to do much more extensive testing on them, though. But rest assured that we’re on it and you’ll see them in another update shortly. 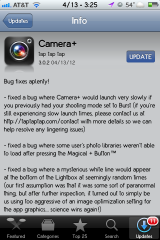 Camera+ is miles ahead of Instagram, so I’m glad its NOT owned by facebook.